Designs can be downloaded immediately after ordering. 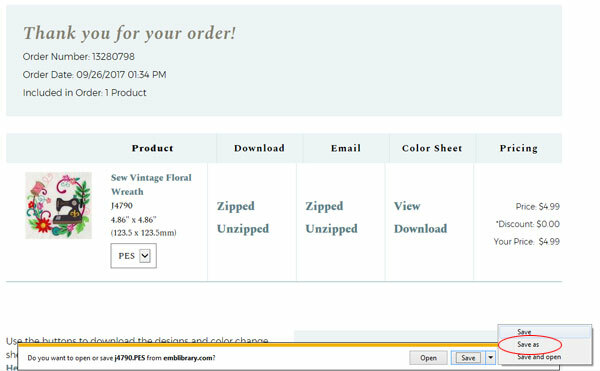 These instructions show how to download with Internet Explorer, versions 9, 10, and 11. 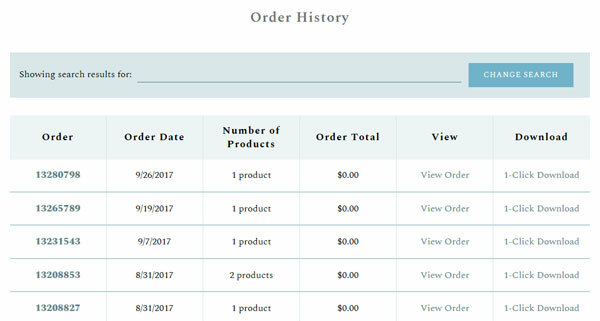 Click the Order History tab. Click on the link to the order number, or click the View Order link, to go to the order details and downloading buttons. There are columns labeled "Download" and "Email." 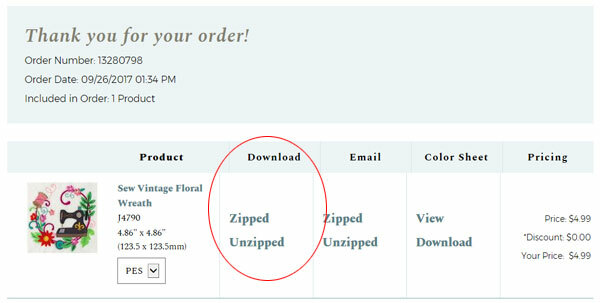 To download the design, use the buttons in the "Download" column. Click the arrow to the right of the "Save" button. Choose "Save as." After you click "Save as," a box will pop up. This box is where you can select where to save the design. Choose your location, then click "Save." In this example, I've created a folder on my desktop called Embroidery Designs. That's shown circled below. I'm saving the design to that folder. After saving the design, go to the folder where you saved it to. 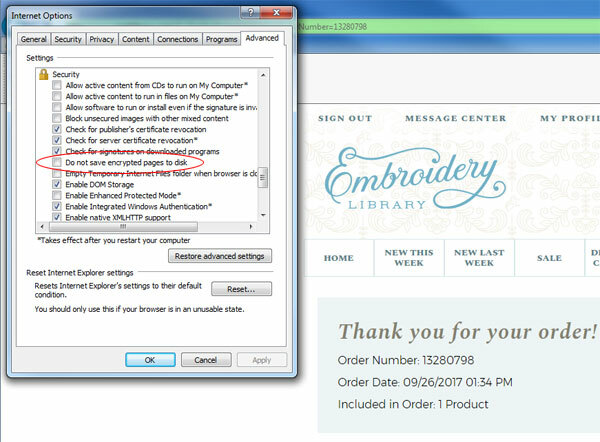 If you have embroidery software on your computer, you can open the design. Or, you can send it to a USB device to upload to your embroidery machine. 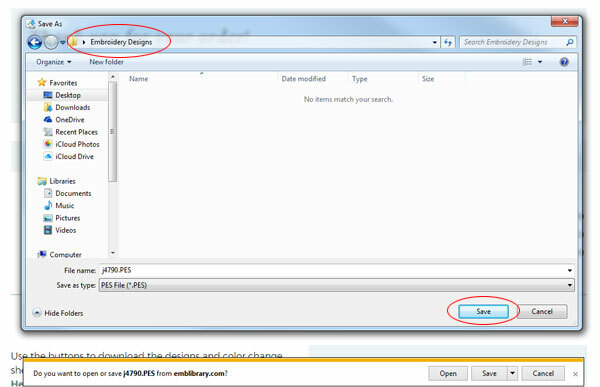 If you download and get an .aspx file instead of an embroidery design, or if you click "save as" and nothing happens, then that's an indication that a setting in Internet Explorer needs to be changed. 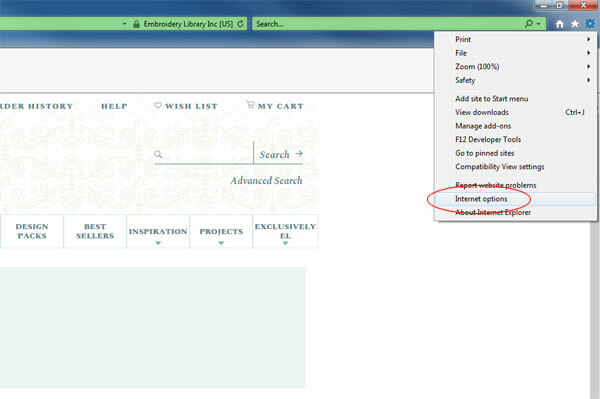 Click the cog on the upper right of your web browser, and select Internet Options. Go to the "Advanced" tab and scroll to the "Security" section. Make sure the box next to "Do not save encrypted pages to disk" is not checked. Then try to download again; the problem should be resolved.